Bacolod, are you ready for a new mall? by Megaworld will soon rise. The artist’s rendition of Northill Town Center that is is set to rise in Bacolod City in 2018. Megaworld, the Philippines’ largest developer of integrated urban townships, is proud to announce that the construction of Northill Town Center is already underway. This would become the upscale commercial town center on the Bacolod side of the rising 53-hectare Northill Gateway township that Megaworld is developing in Negros Occidental. I believe that with the new addition of the Northill Town Center in the northeast side of Bacolod will further elevate the status of the city. You see, I recently saw a video on Youtube listing the Ten Best Cities to Live in the Philippines. And Bacolod is on top of that list. But this is not the first time. There has been an online post and another a magazine article citing Bacolod as the most livable city in the country based on the criteria that they have set. I also talked to a friend who grew up in Davao who worked in Manila for several years before she moved with her husband to Bacolod in order to settle here because they want to avoid the pollution in the city. We also have another friend from Iloilo who has decided today make Bacolod her home. There are many reasons why Bacolod may be considered as the most livable. And that is probably the main reason why Bacolod real estate developments are on the rise in central, north, and east of the city–because people want to live here. While the population is growing biologically, I believe that the numbers are growing because of the people who are coming here to settle because of the leisurely way of life that Negrenses live. It is no wonder that Megaworld is willing to spend billions here with the development of two townships in the city. 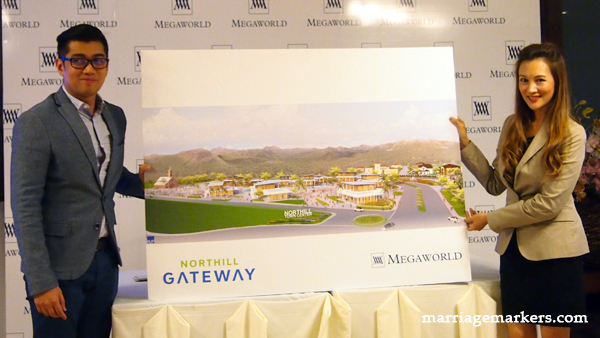 Megaworld AVP and Head of Public Relations and Media Affairs Harold Geronimo and Megaworld Bacolod Vice President for Sales and Marketing Rachelle Penaflorida, proudly presented the plan for Northill Town Center. Occupying an area of approximately 7.5 hectares, the Northill Town Center will be a sprawling horizontal commercial development composed mostly of stand-alone two-storey structures of retail shops and dining establishments, surrounded by landscaped parks and open spaces that will soon become a tourist attraction of the city. They set it up this way because this property is along the fly path of airplanes passing through the Bacolod-Silay Airport. The town center will be accessible along the Bacolod-Silay Airport Access Road and will feature a central plaza, an events venue, a supermarket, and wellness and sports facilities. Since most air travelers would be passing this way, there will be pasalubong centers featuring local Negrense products. Around a third of the entire commercial development will be devoted to green and open spaces–a refreshing sight for both residents of the Megaworld developments as well as the passers-by. The town center’s central plaza will be highlighted by unique water features and an iconic chapel that will serve as a major landmark for the township. The development’s architectural features will be mostly modern contemporary with organic wood and brick accents to infuse a countryside feel of the entire place. 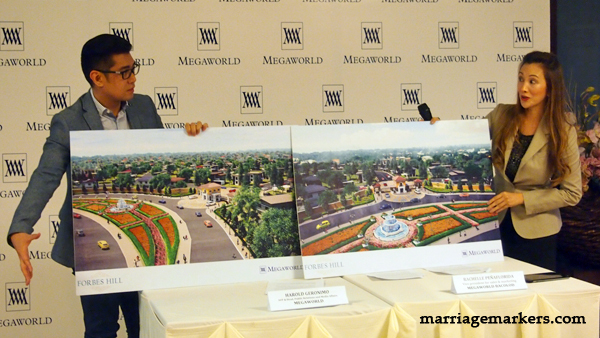 And these are the renditions of Forbes Hill–the upscale residential development of Megaworld.